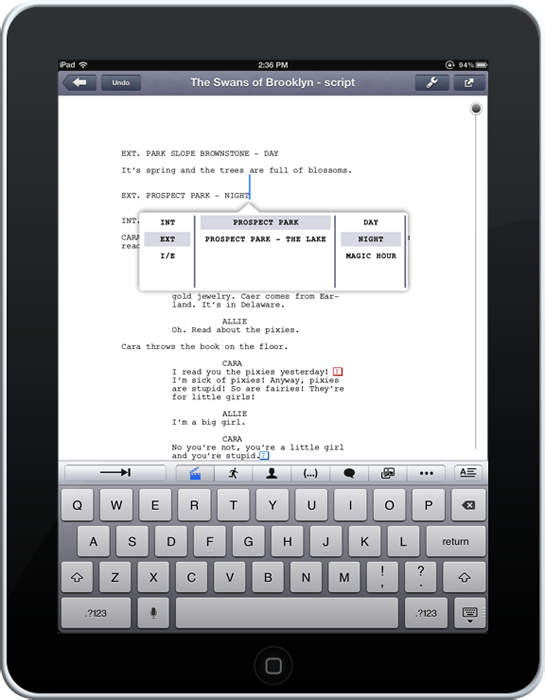 Screenwriters and playwrights have waited a long time for an iPad version of Final Draft. 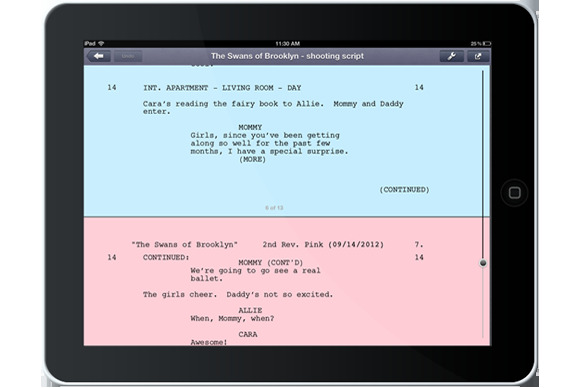 Software maker Final Draft first hinted at an iOS version of its popular desktop screenwriting app back in 2010, shortly after the original iPad’s release. Now, more than two years later, screenwriters have an official way to work on their Final Draft 8 screenplays from the iPad: Final Draft Writer debuted on the App Store Tuesday. But will the mobile app catch on? Final Draft Writer lets writers view their revisions. “In my limited testing, it seems promising,” screenwriter John August told Macworld. 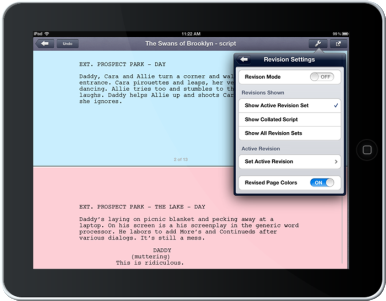 While August may be best-known for his Hollywood career—he wrote Big Fish, The Nines, and the upcoming Frankenweenie—he also helped create FDX Reader, which let writers view their Final Draft 8 screenplays on the iPad. In 2012, he collaborated with FDX Reader programmer Nima Yousefi and industry veteran Stu Maschwitz to create Fountain, a Markdown-inspired syntax for creating and editing screenplays in any text editor; August and Yousefi also put out Highland, an app to convert Final Draft and PDF screenplays into Fountain, and back out again. 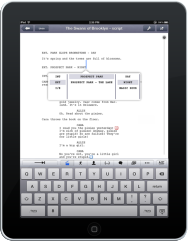 Indeed, though it may not carry over every feature from the full $249 version of Final Draft 8, Writer has quite a few features packed in: You can open any Final Draft 8 script within the app; create new Screenplay, Stageplay, and TV scripts; scan through automatically-paginated screenplays; use Final Draft’s SmartType system to automatically fill in character names and scene headings; view cast, scene, and location reports; lock pages; view and switch revisions; and more. Updated on 8/31/12 at 8:53 a.m. PT to correct a pricing error with Final Draft 8; we incorrectly stated it was $199; the full version retails for $249.